Gettysburg Pennsylvania is one of the most famous towns in America. People the world over learn to speak English by reciting Lincoln’s famous Gettysburg address. Gettysburg receives on average 2.5 to 3 million visitors each year. There is rich history in Gettysburg. Though much is known about the great battle fought here, very little has been revealed concerning the lives for whose cause this battle was engaged. It is not known that long before the outbreak of the Civil War, Blacks were living here as free men and free women roughly 10 miles north of the Mason Dixon line. As early as the late 1700’s Africans were brought to Gettysburg as slave labor. In the course of time others would arrive as free men. As Maryland to the south had begun to free its slaves, the newly developing city of Gettysburg presented fresh opportunities for them to begin life anew. While much of the nation lay in the grip of slavery, they began to model a ‘new birth of freedom’. During the years leading up to battle in 1863, approximately 185 blacks had begun to carve out a life in Gettysburg. Among them were educators, veterinarians, shop keepers, blacksmiths and many who were born free. They owned homes, businesses and held important positions in this early pre-civil war society. They participated in many aspects of work and community life as well. They played a major role in the Underground Railroad and established their own institutions including churches and civic organizations. They were active in the war as soldiers. Thousands served as teamsters handling much of the logistics of the two massive armies and were paid more than white soldiers. We wish to bring to light the dramatic plight of these early pioneers leading up to and during the actual battle here in Gettysburg. Theirs is a story that has been hidden and marginalized and remains heretofore untold. When brought to light it will balance American History as we know it. It will inspire a generation that has been largely misinformed releasing them to exploit their God given potentials. We have witnessed young black men upon visiting Gettysburg weep when they learned that others like them had made significant contributions to the nation’s history. Several of them have been inspired to go on to obtain a college education citing their experience at Gettysburg as a strong motivating factor. To that end, plans are underway, to establish a proper museum in Gettysburg dedicated to the development and preservation of this important history. The project is to be a living experience to educate and inspire this current generation with the knowledge of the accomplishments of the past. The effort has been led mainly by actual descendants of the early families who settled here more than 150 years ago. For over a decade they have tirelessly collected oral histories, documents and artifacts passed down in their families. Joining the effort are churches, businessmen, historians, colleges, our local historical society, members of our tourist industry as well as interested members of the community. The project has captured the attention of local and national media including the Associated Press and local newspapers. Articles abound concerning the need to preserve this important aspect of American history. Together we can fill in the gaps and missing chapters of our national narrative. Hopefully this will foster greater understanding and inspire many to reach for brighter futures. 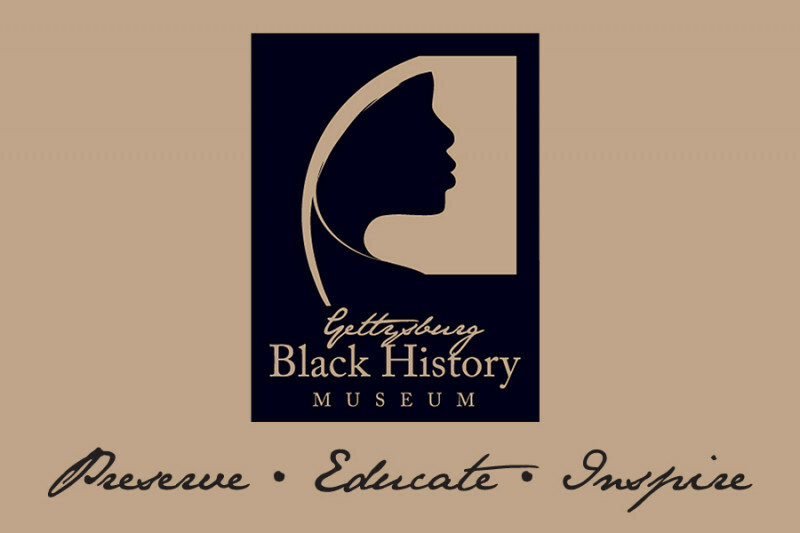 Ron Bailey, President of Gettysburg Black History Museum, joined Mark Berg of the Community Focus segment on Adams County's Community Media channel for a lively conversation on the progress and goals of the Gettysburg Black History Museum. One viewer described the segment as, "...a rich heritage added to another rich history makes for an excellent union." We are delighted to be able to share it with you now. Thirteen months ago we began to assemble a group of professionals with whom we could begin planning the Gettysburg Black History Museum. We sought national museum planners and nationally recognized development and planning groups for the project and have finally sealed agreements with several organizations that will help us make the museum a reality. Our goal in creating the GoFundMe campaign was, thirteen months ago, and, still is, to pay for all of the preliminary planning and site work that needs to be done for the museum as well as help us grow our online presence. It is all coming together as we had hoped. You may not be aware, but our work has continued regarding the Black History Museum over these past 13 mos. An example of this work includes: developing an online store, a mobile application for walking tours and, once we reach our fundraising goal, we will finally have a master plan for our museum. It has been a long time coming but our persistence and dedication to the project has paid off. I hope you will join us on this journey as we strive to make this museum a reality.